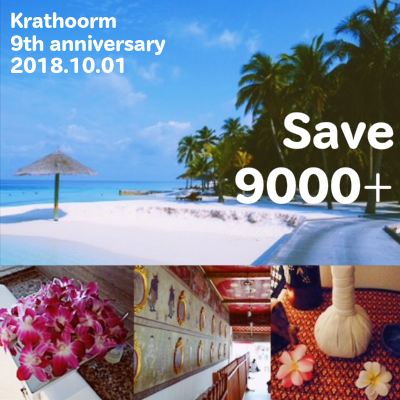 Thanks for your patronage, 1st October will be the 9 year anniversary of Krathoorm. I have to say "Thank you" for your taking my place and services. Then a new campaign begins today, that you can save max 9000JPY or more! ・The Signature series, more than 180min, including Karsai Nei Tsang. ※Jap Karsai options are not targeted. ※You cannot get discount on that days, but you can count the numbers of times. You can get a 3000JPY discount on 5 or more times. ・It's not apply with other discount service at the same time. ・You can also earn "Status Points" for example 180min course: 7 points. ・Kratoorm have a right to change or abolish this promotion in case of any doubt on this promotion.